Welcome back to another episode of the podcast. I based today’s episode on a blog post where I covered what I consider to be the myths many believe about cookbook writing projects. My goal is to fan a spark of cookbook writing interest into a flame if you want to write a cookbook, but perhaps believed any of these myths. 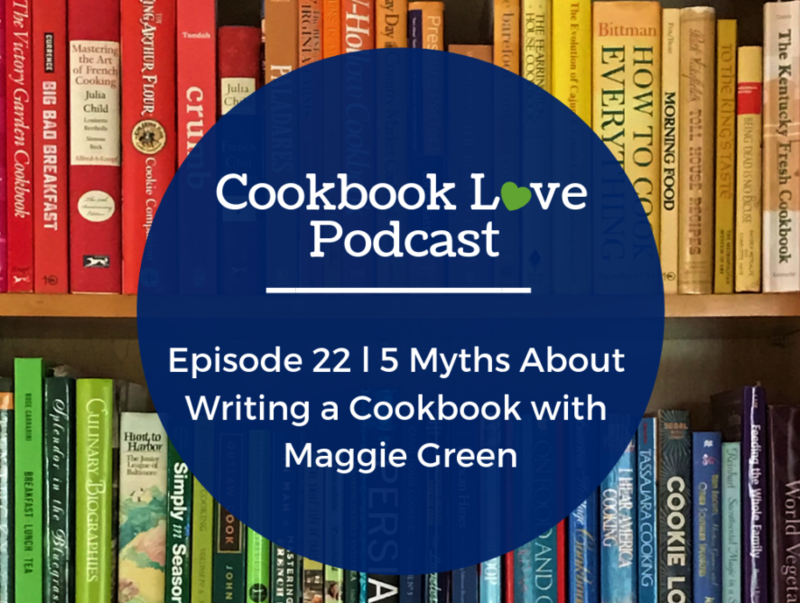 Tune into the podcast to hear more about each myth and how an aspiring cookbook writer can use these myths to their advantage and get started on a cookbook project of their own. Myth #1: I need to have a successful food blog before I write a cookbook. Myth #2: I cannot write a book because someone has already written about my topic. Myth #3: I must have my cookbook published by a major publisher. Myth #4: I do not know enough to write a cookbook. Myth #5: I need to know how to photograph food and design my own book pages before I write a cookbook.